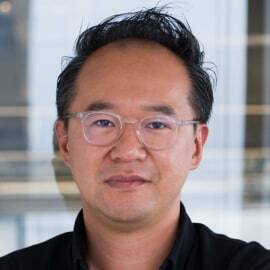 Taehoon Kim is a serial entrepreneur in the high-tech and online gaming sector. As co-founder and CEO of nWay, the San Francisco-based developer behind hit games Power Rangers: LegacyWars and ChronoBlade, Taehoon plays many roles in the development and marketing for all the company’s products. nWay focuses on fast real-time multiplayer games for mobile, smart TV, and browser platforms with VC backing from IDG Ventures, March Capital, Baseline, Cowboy, and Translink. Previously, Taehoon co-founded Nurien, creating massively multiplayer online game MStar, and other 3D virtual worlds. Nurien was backed by over $25 million in venture funding and was eventually acquired by Netmarble. Taehoon is also an advisor to various successful tech start ups including SundayToz, Coffee meets Bagel and Cloudgine. Early in his career, Taehoon was part of Samsung Electronics' New Business Development team where he spearheaded the creation of smartphone based mobile gaming platform for the global market. He holds a B.S degree in Electrical and Computer Engineering from Cornell University.